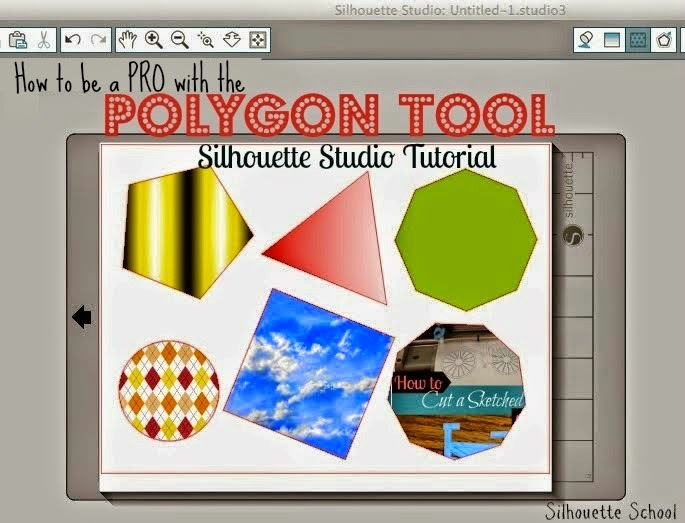 Use the Silhouette Studio Polygon Tool like a PRO! When you click the Draw a Polygon tool and then hold down your mouse and pull out the design in the work area, you automatically get a pentagon (a 5 sided polygon). "Yeah...so?" You're asking, right?! But take notice of the little slider bar on the inside of the shape. That is where the awesomeness comes in. Slide that bar to the left and right and you'll get more or fewer sides. Slide it all the way to the left and you'll get a polygon with 3 sides...aka a triangle. Slide it gradually to the right and you'll get a square, hexagon (6 sides), heptagon (7 sides) all the way up 60 which makes a perfect circle. 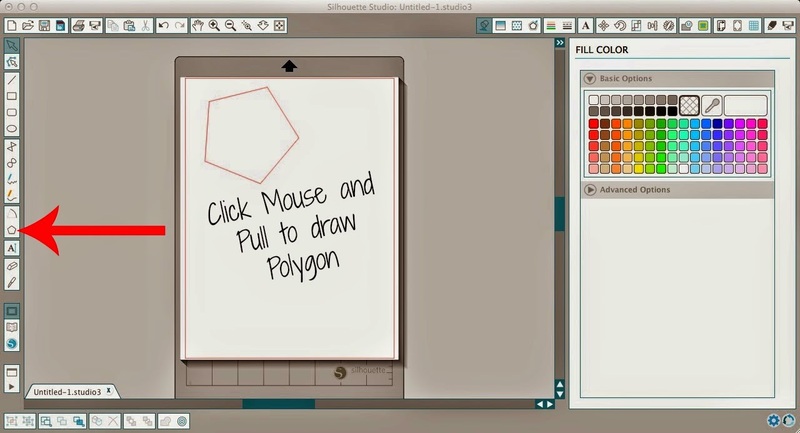 Now, If you've ever tried to make a triangle (or other shape) in Studio by drawing the lines manually, you know you can run into trouble filling the designs in with color or pattern. That's because if the lines aren't perfectly connected at the corners, the fill tool won't work. The polygon tool eliminates that headache of trying to figure out where the break is that's causing the fill tool to not fill! Hi Melissa, Thanks for this tutorial. I have a follow up question I hope you'll answer - is there anyway to pick the number of sides before drawing the shape.I always have to make the pentagon first and then when I work the slider, the orientation of my shape changes and I end up having to rotate the it back manually which isn't very accurate. Also then the bounding box that tells me the size of the shape is always unaligned to the orientation I want for the shape and so I can't figure out how to scale it exactly. Basically is there an option to reset bounding box the way there is in Adobe illustrator? 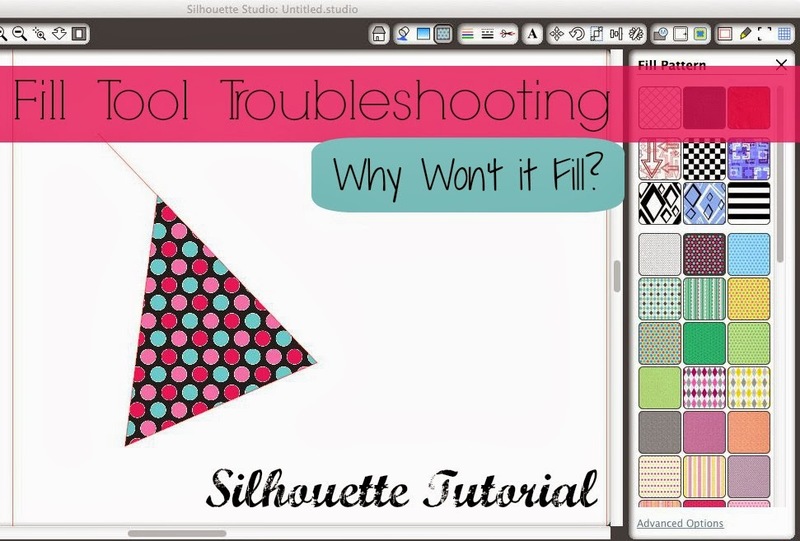 I'm using the standard non-designer version of the silhouette software.